Build your robot or IoT project from scratch. This kit includes the powerful ez-bv4/2 WiFi robot controller, vision camera, servos, battery holder, and more. Focus on creativity to achieve your robot or IoT goals with the power and simplicity that the developers kit offers. Are you ready to experience the world’s most powerful robot and IoT kit? This innovative platform includes the hardware and software that Roboticist DJ Sures uses to personalize his robot companions. Now you can too! 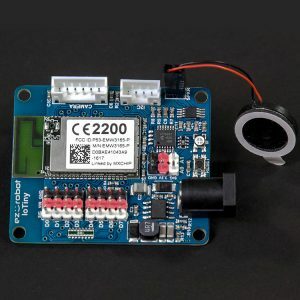 This kit offers hundreds of features: speech recognition, vision tracking, glyph recognition, joystick/Wii remote, HTTP server, mobile device support, custom scripting, object avoidance, GPS/compass tracking, and more! 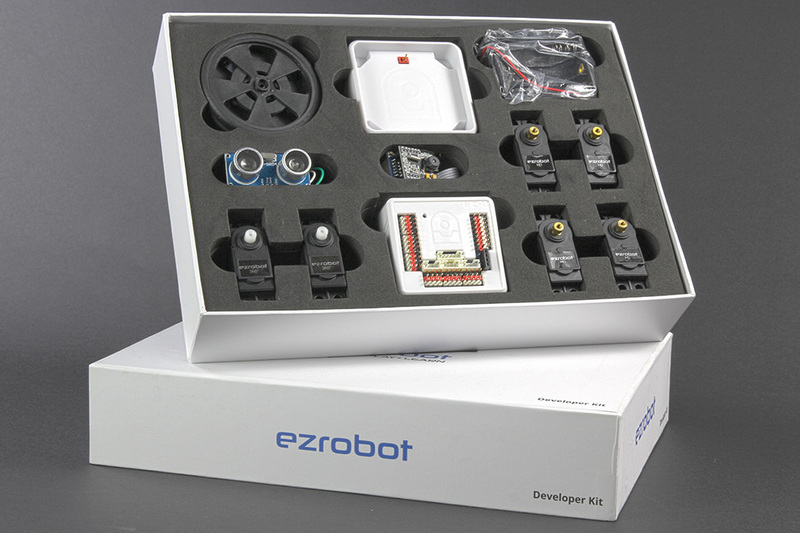 The ezrobot Developer Kit contains the electrical components needed to build a robot from scratch. Perhaps a Wall-E, Omnibot, or a custom robot for your engineering or robotics class. You can create the robot of your dreams, using our innovative hardware and powerful software. Ease and power are reasons that ezrobot has been the driving force behind countless robots for hobbyists, competitions, schools and R&D facilities in over 120 countries. 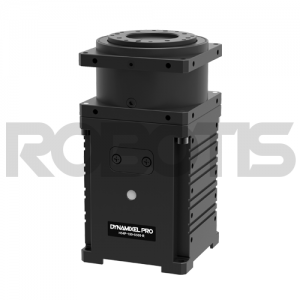 We are committed to maintaining ongoing development by implementing new features to increase your robot’s functionality. This powerful kit is perfect for any skill level – from beginner to advanced – with its graphical control interface, custom scripting abilities, and full-featured SDK. The ez-bv4 is the brain and nervous system of your ezrobot. With the electronics protected by a stylish plastic shell, the ez-bv4 clips into your ezrobot Revolution chassis or custom robot.